So, I’m training for a marathon… The Maui Marathon to be exact, which happens to fall on my birthday this year. A birthday which will remain numberless. 🙂 It’s a semi big one, and who knows if this marathon will ever fall on my birthday again, so it was pretty much a sign that I HAD to figure out a way to make it work. Training for a full marathon is a monster, and a pretty big commitment. Most people if they had to – could go out and run a half marathon tomorrow. They might not enjoy it, but they could get through it. A full – a whole other monster! The first full I did was Chicago, and I broke my foot just because I hadn’t trained properly. I finished, but it wasn’t pretty. I had to be in a wheelchair getting on the plane back to Nashville and went right to the doctor and found myself in a big, fat boot! Since then, I’ve learned how to train SMART and RIGHT, and honestly – I usually do it mostly on a treadmill! Most people are just astonished and kind of want to throw up in their mouth a little bit when they hear that, but I trained my BEST marathon ENTIRELY on a treadmill. Crazy, huh? I had people asking left and right – HOW THE BLEEEEEP DO YOU DO THAT ON THE TREADMILL? So, I decided to write a blog and give you some of my secrets for long running on a treadmill. For me, treadmill running is easier all around than outside running. It’s cushy… you have air conditioning, a bathroom, your waters are right there and there’s more if you need, your gels are readily available… I mean it’s kind of like the swanky way to run. 🙂 Personally, t’s also easier on my body. I am way less sore, but don’t get me wrong – I’m feeling every mile of those 21 today – even doing it all on a treadmill! I LOVE running whether it’s outside or inside, and when the weather cooperates – I’ll usually go outside over the treadmill, but sometimes just parking myself on a treadmill and not thinking about it is just what I need! -Have a goal. For me, I don’t just go out and do long runs. If I’m going to plant myself on a treadmill for hours on hours – there’s a good reason. I usually am training for a full marathon if I’m running super long. This keeps me focused on something bigger. If a full is too much, then start with a half! A half is a long distance, but not painfully long. Having a goal will help give each step a purpose. -Get your mind right. Basically, just know that you’re going to be on the treadmill for an hour or 2 or 3… Just tell yourself that you’re not going to give up. Think about the finish line and how great you’ll feel when you’re done. If you start to get tired, go back to this. -Break it up! I had to do 21 miles last week, so I broke it into 3 sets of 7 miles at 7mph. After each 7 miler, which was about one hour of running, I felt accomplished! Set yourself small goals and celebrate after each of them. Have small goals and stretch goals. My stretch goal was 21 miles, but my smaller goals were three 7 milers. It helps mentally to break it up and feel like you’re getting somewhere. -Plan your breaks/food/drinks. Just like a real marathon, you need to drink and eat throughout your long runs. I usually drink AT LEAST every 2 miles and take a chia Huma gel every 5 miles. These are also little milestones. I think – okay – if I make it 5 miles – I take a quick walk break to eat my gel and drink some water to wash it down. Again, this is of a mental game than anything, so anything to look forward to is a good thing. 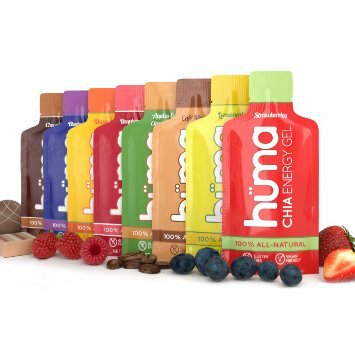 I’ve recently discovered Chia Huma gels, and I really love them! They are all natural and super yummy. So, check them out! Don’t think that you can do long runs without food and drink. You. Will. Regret. THAT!!! Drink at least every 2 miles! 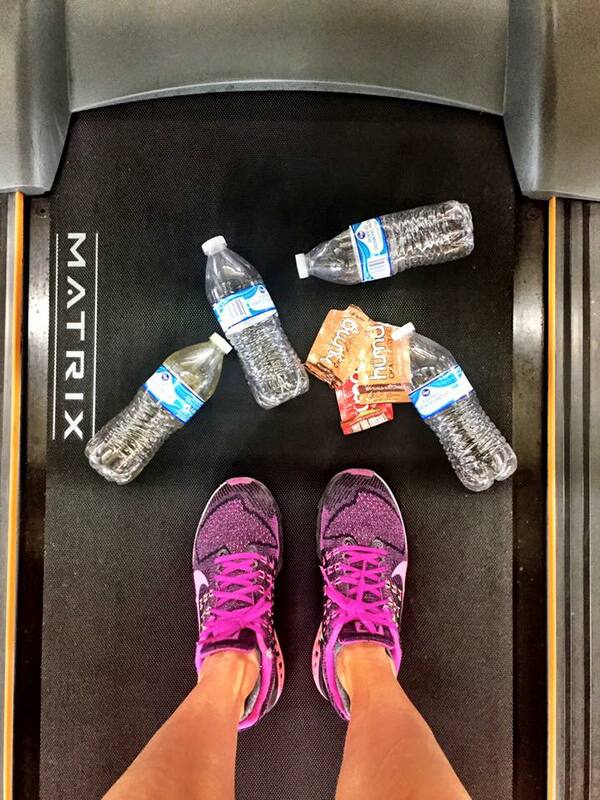 Practicing eating and drinking during your long runs will help you during the race as well. -Be okay with walking. I always say – miles are miles are miles. Whether you’re running and you walk a few minutes here and there or a lot of minutes – you’re STILL getting miles underneath you. Your body needs to know what it feels like to do all of these miles, so just GET THEM IN. Obviously, you want to try to run if you’re actually running the race, but don’t feel like you have to run the whole thing in training. Listen to your body. 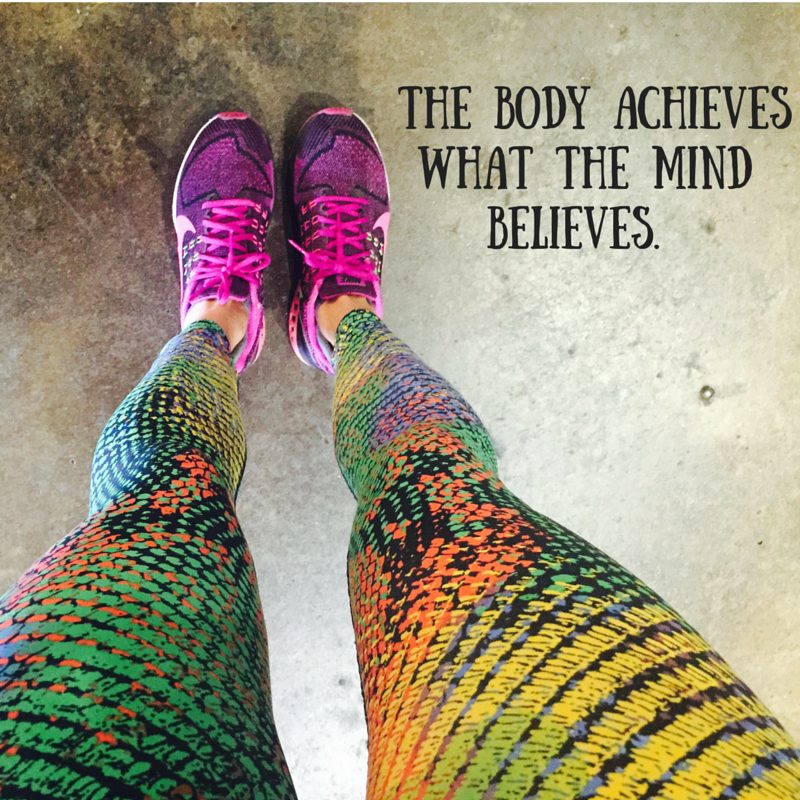 I walk at times, stretch, go to the bathroom… (again the benefits of treadmill running. ) 🙂 But I was working with a client who would “punish” himself for walking, and once he let that go – he actually started enjoying it. You have to let go of some of the control and go with the flow. -Make a new playlist. A lot of times I’ll make my Endorphins playlist and then go over it a couple of times during a long run. I also enjoy listening to Spotify radio. If you find a song that you like on Spotify you can actually click on it and listen to the radio based off of that song. Sometimes not knowing what song is up next is fun, and you’ll probably happen upon a few new tunes to jam out to! -Find a good treadmill. Make sure if you’re going to be doing some serious treadmill running, that you have a GOOD treadmill. Mine at home – not so good for long distance… however, I have a new one coming this week – ahhhhhh!! But, I enjoy going to the Y to people watch while I’m running, and I’ve figured out which treadmill is my favorite for long distance there. I’ve also heard of people listening to podcasts, which is another great option! -Watch TV! Just think – if you have 3 hours of running, that’s 3 TV shows! BOOM! I actually love going to the gym and treadmill running during football season because I’ll just watch a whole game!! You can watch a movie, catch up on a show a football game… the possibilities are endless! 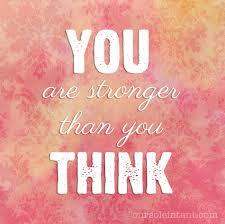 -Don’t think about how far you have to go – think of how far you have already GONE. This is probably the most important of all of my tips. I read this quote one time, and it has stuck with me from that very day. I think of it often on long runs. Sometimes I get stuck thinking…oh, 2 down, only 19 to go… wahhh wahhh. Well, that does nothing for your brain and motivation at all. 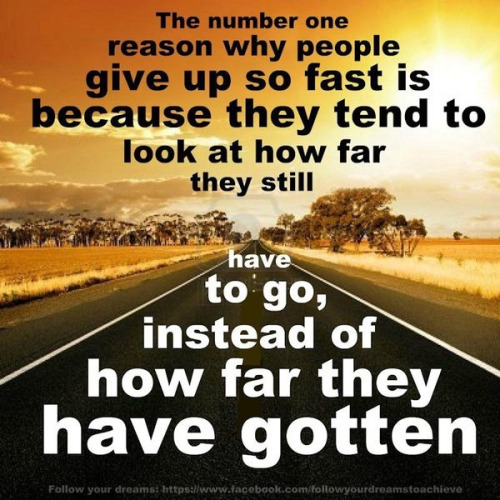 Stay focused on your overall goal, how far you’ve gone. Keep your mind positive and focus on the journey and what you’ve done and DOING and not how much you have left. -Post about it! Share your accomplishment on FB and/or Instagram, Twitter – whatever your social media choice is! 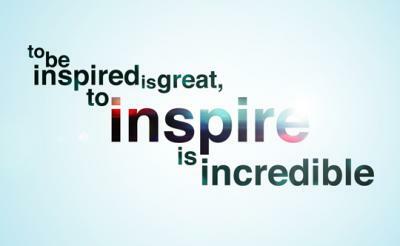 You have no idea how much YOU will inspire other people by what you’ve done. I always think- if I can do it – ANYONE can! So, share your journey – you never know who is watching and who needs the inspiration. You’ll be surprised at how many people are cheering you on. So awesome! Love getting your posts. Proud of you!!!! So proud of you!!! You really are my hero!